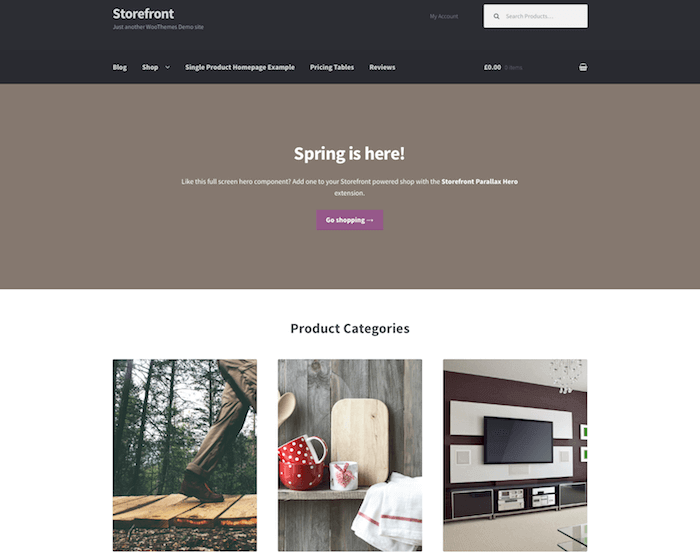 AccessPress Store is an exciting new theme from the awesome team over at AccessPress Themes. 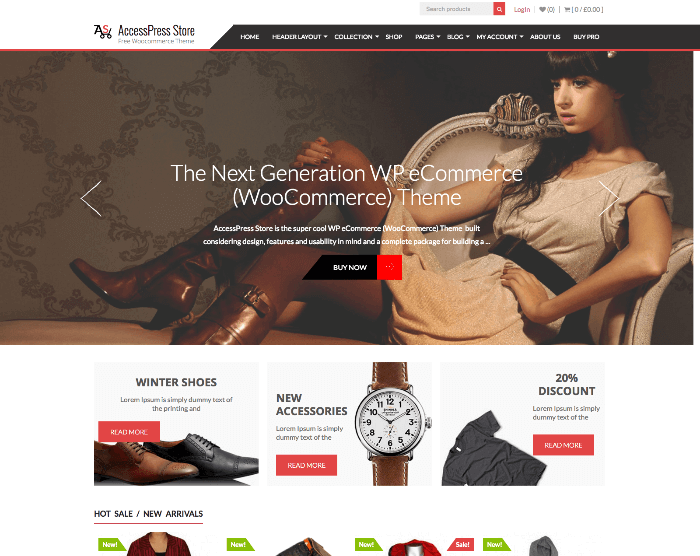 Touted as the next generation WooCommerce theme, AccessPress Store is a complete store theme with a built in customizer, tons of great features, and a simplicity even the most novice of website creators can use. What’s better, AccessPress Store fully and seamlessly integrates with WooCommerce complete with a sleek and modern design. Let’s take a closer look at what this modern shop theme has to offer WordPress business owners of all types. Keeping everyone in mind, AccessPress Themes always creates multipurpose themes that are easy to use regardless of coding or development knowledge, includes multiple layouts for the various design needs of website owners, and stands behind solid coding that keeps SEO in mind. AccessPress Store was designed just as all AccessPress Themes are: with plugins designed specifically for their themes that are easily integrated and advance the functionality of your website, 24/7 support with 1 hour turnaround times, cross browser compatibility, and responsiveness across the board. Highly configurable home page, color configurations, and background customization to personalize your shop. Simple to use slider for promoting products. Product and content search ability so customers can navigate through store easily. Promo countdown ticker that displays beautifully. 4 page and post layout choices with option to display as a grid or list. Blog design variations (4 layout choices) with box or full width display. 6 built-in widgets for added power. Fully SEO optimized with fast page loading. Upon installation of this FREE e-commerce store theme, I was quickly prompted to install all of the recommended plugins so that AccessPress Store would be able to function at its best. AccessPress Instagram Feed: Use this to display your Instagram feed to your visitors. AccessPress Social Share: Make sharing on all social media platforms for your customers easy to do. AccessPress Twitter Feed: Keep your visitors up-to-date with your live twitter feed. Email Subscribers: Send your loyal readers a regular newsletter or just update them when new content is posted. WooCommerce Grid/List toggle: This simple tool is so your products can be viewed in either list or grid views. YITH WooCommerce Wishlist: Allow your customers to create wishlists for later purchases. All of the above-mentioned plugins can easily be found in the WordPress Repository or on AccessPress Themes’ website under plugins. What’s great about all of them is that much like AccessPress Store, they are free. Decide which ones will suit your online store best and activate them before creating your website. Let’s not forget however, the most important free plugin required to create an e-commerce store using AccessPress Store: WooCommerce. WooCommerce has become synonymous with e-commerce in the WordPress world and rightfully so. With its powerful online store capabilities with no price tag attached, how could anyone not like WooCommerce. By integrating AccessPress Store deep within the native settings of WooCommerce, you can create an online store like never before. 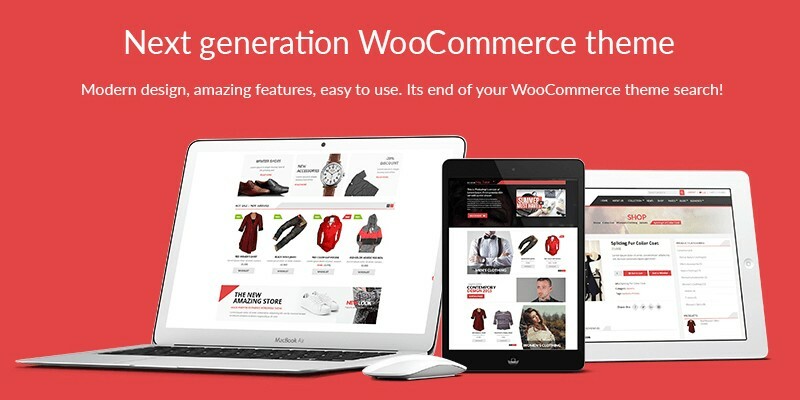 Keeping up with WooCommerce’s easy interface and usability, you will not be disappointed. 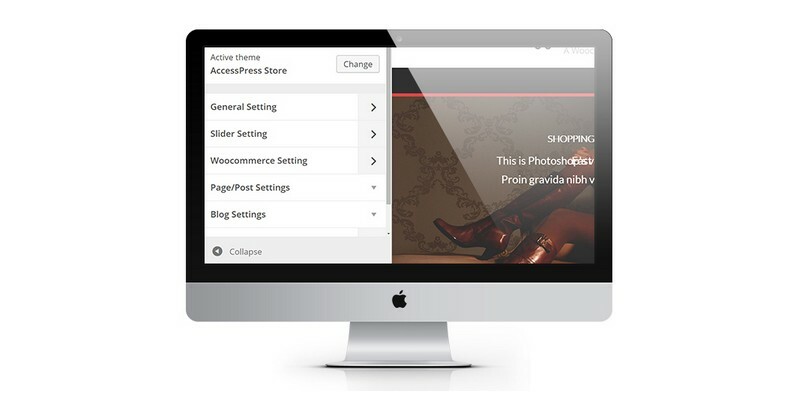 Unlike many themes available today, AccessPress Store allows you to preview your website design LIVE as you build it. You can observe all changes you make to your website as you go so that you can observe how it will look to your customers once up and running. This frees you from the time-consuming ‘Save>Preview Changes’ toggling so that you are more efficient in your website building. More so, the customizer leaves room for you to customize every last detail in your online store. Create a beautiful product page to attract customers, personalize the checkout pages, design a slider, post blog content updating your readers, change the header, and even make a call to action button using the built-in customizer. One of the coolest features AccessPress Store provides its users is the ability to integrate YouTube videos directly onto the homepage. Using the Video Call to Action Widget in the Appearances section of your WordPress dashboard will lead the way in uploading a live action video regarding your online business. Having trouble? No worries! Check out AccessPress Themes’ extensive documentation with step-by-step instructions. Featuring a video of products is a great way to educate customers on particular products or announce new releases. This option will make your online store stand out in the crowd, drawing more traffic in, and increasing your bottom line. The ability to personalize your homepage will allow you to really make you website stand out. Try adding an easy to configure slider to promote your shop’s most popular products or highlight your store’s promotions. Pick a color scheme to match the theme of your shop and make you site really pop. Don’t forget to add your company’s shop name in the header section, configure the fonts to match your shop’s style, or even add some customized widgets so customers can start purchasing your products straight away. With the highly configurable homepage AccessPress Store has to offer the possibilities are endless. There is no need to follow the theme demo setup as is, instead make your store yours! This option is really cool because it adds a certain depth to the website. Rather than just listing all of the store products in a boring grid like fashion, you have the ability to shake things up by displaying your categories in different ways. For instance you can have a static image headlining the category on one side of the page and the products associated with that category to the right available for direct purchase. Or, should you choose to, you can include a button that once clicked will bring the visitor to the category page where they can view and purchase products. This high level of customization will make the dynamic of your website much more exciting. It also lends easy access to your entire store’s products to the customer which will in turn help your bottom line. It’s a win-win situation all around. When your customers decide what they want to purchase, the process must be easy to understand. The key here is a clean and simple, yet also beautiful, product page layout. This is exactly what AccessPress Store offers. Designing your product page has never been easier. Include images with multiple views, a short description of the product, a product price with an easy-to-click ‘Add to Cart’ Option (or better yet the Wishlist option! ), even related tags in case the customers want to expand their product search. Every e-commerce store has its own feel to it. Depending on what type of products you are selling, the customers you are aiming at, and the amount of information you want displayed at any given moment, really makes a difference in how the overall look and feel of the website is going to present itself. With the option to display you store in a boxed or full layout, you can rest assured your customers will feel at ease browsing your site and know that the visual appeal will be at its best. E-commerce stores are simply not going away. Building an online shop is a great way to increase your brand’s awareness, cater to your loyal customers, and ultimately gain new customers in the process. Consider using AccessPress Store now. 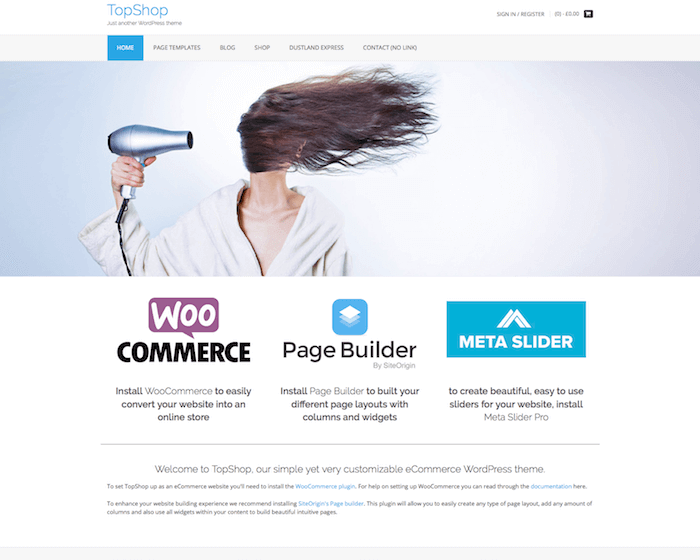 There is no better theme to integrate with the ever-popular WooCommerce. With its simple activation, clean and modern design, and easy to use customization options, your online store will stand out amongst the competition and make you that much more successful. Check out AccessPress Store’s live demo here or better yet, download your free theme now and start building you online store. Have you tried AccessPress Store? How about the recommended AccessPress plugins to aid in your online store? We would love to hear all about it in the comments below!